You imagine it, we build it. Add your own graphics, text, slogans and choose your own layout with our online designer. Or have one of our designers do it for you. 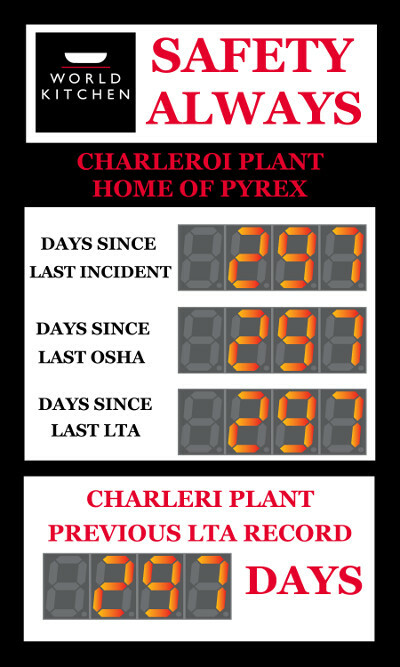 Safety is success by purpose – Not Accident. 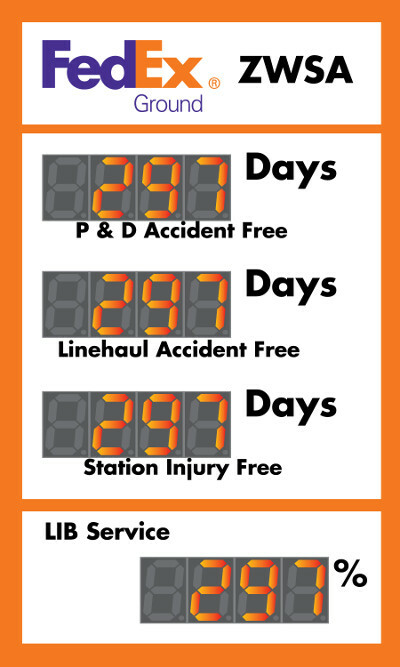 daily demonstrates that safety is valued. 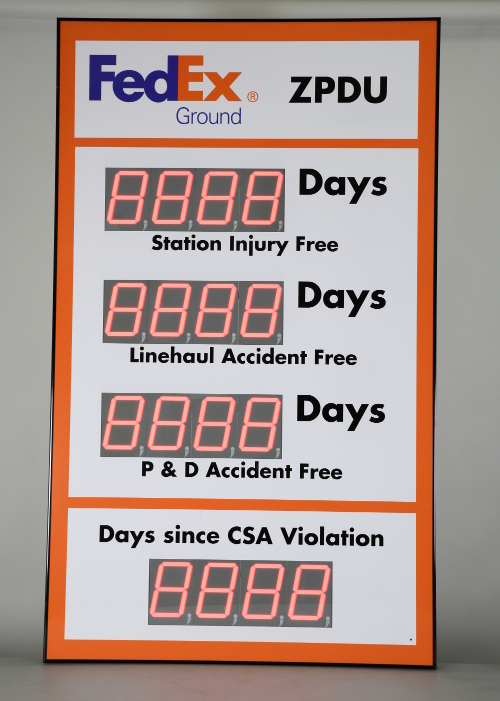 Everyone will be looking at this 60" high by 36" wide custom safety scoreboard with four counter displays. 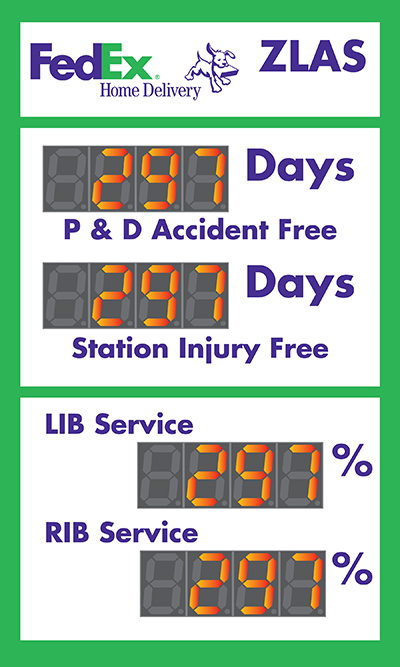 Whether you track safety metrics by shift, department, or team this sign can be customized online to your needs. Each counter is four digits with a digit height of 5". 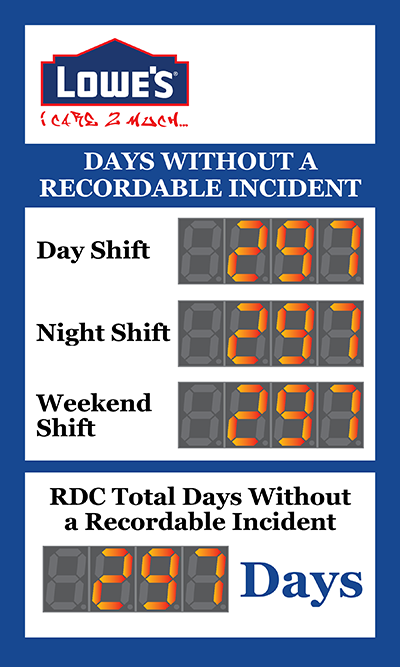 You can track three departments and a previous record or goal or track the days without lost time accident for each of four teams. You choose by making use of our online designer to customize the graphics and layout of the modules. We'll setup the counters to provide the correct functionality based on your design, but rest assured each module is configurable by the user at any time.